After a decade of testing different camping tents while working at an outdoor education camp, our writer found the best camping tents that are easy-to-set-up and durable enough for repeated use by teenagers. After reading hundreds of professional and customer reviews, we identified the top 12 camping tents for family camping or group camping. 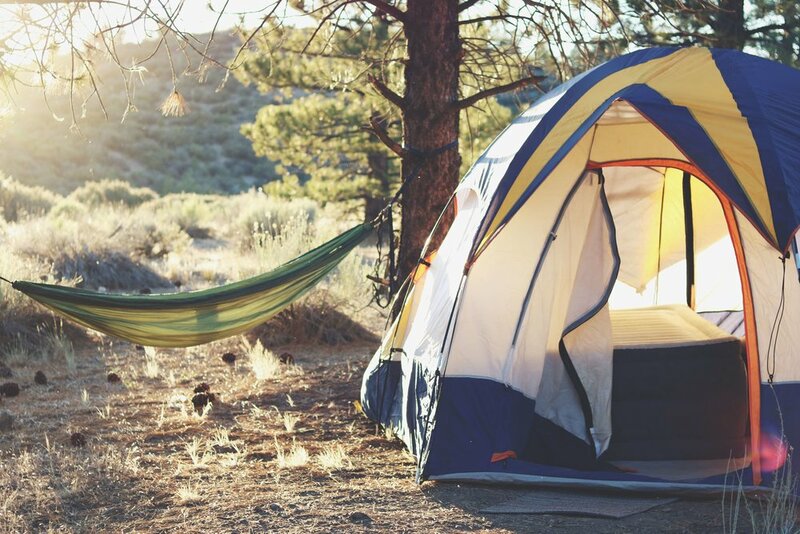 Based on those findings, here’s how to pick the best camping tent for you and how to choose the four-person tent (or six-person tent) that’s best for your camping style. Once you’ve figured out what you want in a camping tent, read our full comparative review of camping tents to learn more about our winners and the four best camping tents. If you’re looking for a Backpacking Tent, check out our: Best Backpacking Tents guide. Need a sleeping pad for that tent? Read our Best Sleeping Pads story. Cooking up a meal while camping? Read our Best Stoves guide. What is a camping tent? Do I need a camping tent or backpacking tent? Should you buy a footprint and where do you put it? Should I fold or stuff my tent? Should you stake your tent or use rocks? There are thousands of tent designs in the world - but they don’t all serve the same purpose. Consider cars. A bus and a sports car are both wheeled vehicles, but there’s a reason we only use one to go camping with groups. Tents are a technology, and different technologies meet different needs. Like so many outdoor goods, the tent market has exploded in recent years. In this article we will focus on general camping tents. These are great for trips in cars (or rafts and boats) when weight and size are less of an issue, and setting up a comfy home for multiple people is the priority. By “camping tent,” we mean the kind of tent you use for a family outing in the backyard or at a well developed state park. A good tent should offer a painless transition from sleeping inside or in an RV to camping outdoors. It allows you to visit more places and travel more without the costs associated with hotels. Camping tents are not light tents you will want to carry on your back for miles. Instead, they are perfect for pre-established camping areas just off the road. For a review of smaller, lighter backpacking tents check out our article here. We researched the most popular comparative reviews of camping tents over the past few years. We mostly focused on all-time classics. While some models are new, you will see some proven tents that have been on the market for years. Our recommendations came from our own experience with the brands, and scanning dozens of professional and customer online reviews. (1) size: We wanted tents that could offer enough room for 4 people, while not being so massive as to make it hard to set up on a tent platform at a state park. (2) ease of setup: When you are buying a camping tent, you aren’t worried too much about how heavy or big it is. The goal is to have something you can place alongside the river or at the state park. The best tents can be set up quickly and easily, so the family can pile in or your friends can escape an impending storm. (3) weather-proofness: Here our criteria varied based on needs: we looked for tents with full size rainflies (or a good reason not to have them), factory taped seams, and that were “double wall” tents with plenty of ventilation (we will explain that later in the article, but these help with moisture management). Our secondary criteria focused on ease-of-use. We looked at things like (4) ease of entry and exit (think number and size of doors): Most of the tents we recommend have at least two ways in and out. (5) height: Though we made exceptions in one case (see our recommendation for a backpacking-camping hybrid tent), we looked for tents with a 5’ peak at minimum. (6) storage: We wanted tents that were either large enough to accomodate gear, or that provided “vestibule” space (extra space under a rainfly) that could serve the same need. (7) ease of transport: While you may not be backpacking for miles with this thing, you want to be able to move it some distance. Typically this is from a car to a tent pad, or in some parks up to a ¼ mile to group campsites. (8) price: Camping tents vary in price dramatically - some are below $100, while others can be several thousand dollars. We looked for good deals in every instance, and nothing over $700. ...and were at a reasonable price point: $100 - $700. One fun way to look at this is as rent. 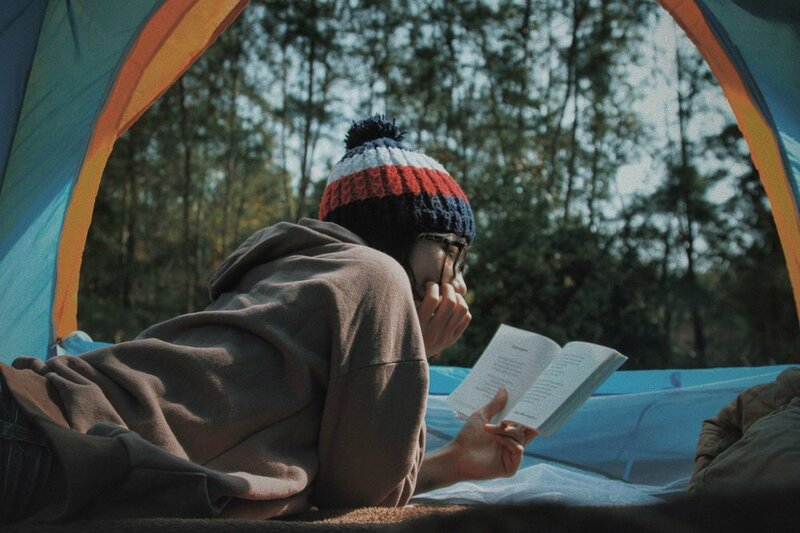 Let’s say you camp for three weekends a year, with four people, in a tent that lasts a decade. At $700 that’s about $5.85 per person, per weekend, per year - not bad for housing. From there, we used these criteria to select our final winners, the 4 Best Camping Tents for most People! In our full review of the four best camping tents, these features’ presence and quality often influenced our ultimate decision. We’re going to get technical here. We explained our key criteria up above, but here are some of the ways we actually measure those criteria. If you decide to look into other tents, it may prove useful for helping you think critically about those tents as well. A camping tent benefits from vertical walls, giving more head space right away. But camper beware: these walls can catch the wind! Backpacking tents tend to be more streamlined. The ideal camping tent balances plenty of height with windproofness. How big is the floor of the tent? This is best understood as how many sleeping pads, cots, or sleeping bags (read: bodies) can fit into it. Note that when a manufacturer references a “footprint,” it also can mean the tarp or extra floor fabric you can buy for a tent to keep the tent’s floor safe. More on that later. There are three common types of tents. Which of the three tents are best suited for you depends on your trip goals, budget, and where you are going. Cabin tents are luxurious, tall, and can even fit beds. They are perfect for long-term camping in gentle conditions - backyards, state parks, or festivals. Some are quick to set up. However, many of the massive ones (12+ people) can be complicated and time consuming to set-up. Tunnel tents have the same front and back and end up looking like a tunnel (hence the name). Typically a series of identical poles runs front to back with a back door and front door. They’re roomy, but more time consuming to set up. The above are just guidelines. For example, a massive dome tent may be harder to set up than a small cabin tent. Ultimately, what impacts a tent’s ease of set up and usability is the design and features. Hooks vs. Sleeves: For years, tents had little sleeves you had to run a pole through to connect them. But many modern tents are using hooks that connect to poles, sparing you the trouble of having to guide a 20’ piece of aluminum through a narrow sleeve. Some of our reviewed tents do have sleeves, but they’re minimal and only cover part of the pole. Number and Type of Poles: Poles are a necessary evil of tents. They are long, awkward, and (in some models) fragile and easy to break. Tents with stronger, simpler poles are easier to deal with. The tents with better pole systems use color coding or reducing the number of poles needed altogether. Tent pole technology is also rapidly evolving. Fiberglass is light and cheap, but cracks more easily. We generally suggest aluminum poles, which are more affordable than carbon fiber but harder to break. You will see a lot of tents called “three season” or “four season” tents. This is a reference to when you can expect them to keep you warm and dry. Winter is the “fourth season”. 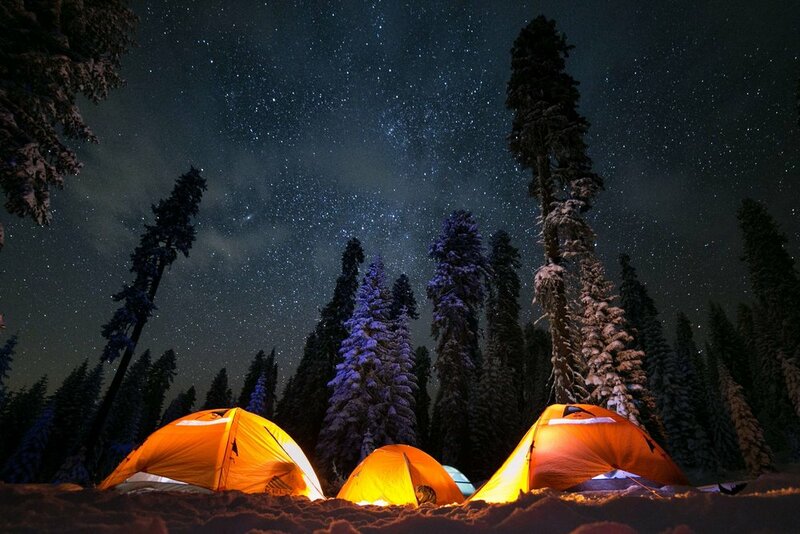 In technical terms, a four-season tent can hold a greater snow load or stand up to stronger winds (typically due to stronger fabric and more durable poles) - this makes it warmer, but also heavier, than a three season tent. In your own research you may also find “single wall’ tents (where there is only one layer, and no rainfly). All our recommended tents are “double wall” tents. These tents are easier to use in many conditions and include an outer layer (the rainfly) to keep moisture from seeping through and reduce the impact of condensation (moisture) naturally forming inside your tent. Seams are where two pieces of fabric on a tent are sewn together, making them prime candidates for leaks. Technical tape applied on the seams helps keep water from seeping through the holes created by needles during the sewing process. When tents don’t offer factory sealed seams, you need to seam seal it yourself using a silicone-based seam sealer. This takes time and is easy to forget to do before your trip. All the tents we suggest come with factory taped seams so you have one less thing to worry about before going on your trip. camping pros make sure to set up tents in places where water won’t get underneath. But for times you can’t get a puddle-free set up (like when that state park campsite is just big enough to fit your tent and a car), a thicker waterproof fabric along the bottom of the tent helps. A more durable fabric where you’re likely to step or find sharp rocks or sticks can also be helpful. Not all of our recommended tents have bathtub flooring, but we considered it a bonus. Most of the moisture inside a tent actually comes from the bodies inside of it, like when you sweat and breathe. Ventilation helps clear that moist air and move it outside of the tent so it won’t re-form as condensation (dew) inside your tent. The best tents release that moisture without letting more in. Most do so using a combination of advanced fabric or simple mesh in the right places. D” stands for “Denier.” According to tent-maker MSR, denier is density based on the length and weight of a thread. “T” stands for thread count, or the threads you can find per square inch. These variables - combined with chemical treatments and materials-- affect the strength and durability of a tent’s fabric. To be clear, 99% of tent purchasers never need to know about the Ds and Ts, but they can be one of several indicators that help us judge how durable and weatherproof a tent is. Higher numbers mean stronger tents - but they’re also heavier. Should you buy a footprint - and where do you put it? Footprints are essentially extra floors, cut to the size of the tent. They generally help preserve the floor of the tent. I tend not to spend extra on footprints. Unless it’s a waterproof floor (few are) I’m not worried about a few holes in the floor of the tent. (In contrast, I do care about holes on all the other sides). When I do use a tarp on the bottom of my tent, I typically put it inside the tent rather than underneath. This is the opposite of what I run into most people doing. The rationale behind my method is that it keeps the holes away from me. It also reduces the likelihood that moisture gets between the footprint and the floor. If moisture gets between the footprint and the floor, I’ve found water is more likely to soak through to me. A tarp underneath the floor often leaves exposed edges outside, where water can pool and run into the tent. But it doesn’t keep holes out of the floor of the tent. I’m fine with holes, and you can be too if you want! Inevitably you will have to put the tent away. First, remember to make sure it is dry! Then you have a choice to make. A lot of people fold tents, gently wrapping them over the poles and putting them in the bag. I’m a stuffer. Folding looks better for a tent, but if you fold in the same place and the same way over-and-over again, the creases make points of weakness. Stuffing guarantees something a little different every time. Rolling is great - but make sure you vary the folds to avoid those creases! A word of caution if you do stuff: stuff carefully around the poles. That’s the easiest way to rip a tent. It is still better than putting the poles into the tent bag last, however. Doing so means taking a long hard thing and pushing it into fabric - another good way to get a tear. Should I stake my tent or use rocks? This is less of a debate, and more something that is helpful to know. Most tents need to be staked out for maximum effectiveness. Tents that don’t need to be staked out are called “free standing.” But even they benefit from the extra tension of staking. I’ve seen staked out tents blow away in the wind (it’s rare, but it happens). Tents that aren’t staked out can fly off even faster. I have yet to meet the tent that didn’t benefit from at least some staking. Inevitably, however, you will either camp on a durable surface that is unstake-able (which is good if you want to Leave No Trace!) or forget your stake bag at home. In both cases, you’ll need to learn how to tie out your tent without stakes. Once, I forgot my stakebag on a boulder in the Wind River wilderness (leaving stuff behind is not so good for Leave No Trace). You will learn, as I did, that thick logs and stones can work as well as stakes - if you have guylines to wrap around natural “found” materials. Guylines are ropes - typically made out of parachute cord - that come off loops on both the body and the rainfly of your tent. ﻿If you learn only one knot, learn the trucker’s hitch. It will let you easily loosen and tighten these lines to stakes. This is almost always better than attaching the tent directly through the stakes through the various loops it has. Some tents have plastic “tensioners” that try to replicate this knot. I recommend learning the knot and abandoning the tensioner. I find the tensioner confuses people more than it helps. Backpacking expert Andrew Skurka shows his system, which is similar to mine, here. Knowing how to stake out a tent with lines rather than fixed loops on tents isn’t something to stress about. Still, figuring it out will let you sleep far sounder through storms, wind, and rain. I always tell my students the best camp is the one where you don’t have to get up to stormproof if you hear thunder! This is the kind of skill that helps you go to sleep with confidence in any weather. Read our Full Guide on the Best Camping Tents for details on which stoves we recommend and why.